Note: I started thinking recently about how important it is to have an intellectual framework for interpreting the Scriptures. I jotted down some preliminary thoughts below that might be expanded, added to, or adjusted in the future. 1. The Scriptures are inspired (2 Timothy 3:16). They were written by men, but they are not merely the words of men (2 Thess 2:13). They are the Word of God. 2. The Scriptures are infallible (Psalm 12:6). They are completely trustworthy in all that they describe, teach, and affirm (John 17:17). 3. The Scriptures are perspicuous (clear). The truths of God are clearly revealed in the Scriptures even if, due to the limitations of our human finitude and the impact of human sin, we do not immediately understand them (Psalm 119:130). When a Biblical passage is unclear to us, we should pray, seek the counsel of sound teachers (both non-immediate through reading sound expositors from the past and present and immediate by speaking to living elders) and fellow believers. 4. The Scriptures are consistent and non-contradictory (John 10:30). If we find an apparent inconsistency or a place where one passage appears to be in conflict with another, we must recognize that our inability to understand is not due to a weakness in the Scriptures but a weakness in our limited understanding. We must, therefore, pray for illumination and understanding (Psalm 119:18). 5. The Scriptures must be used to interpret the Scriptures (the analogy of Scripture, analogia scripturae). Passages that are clearer to us must be used to illumine those that are less clear. We should not base doctrine on any one verse or passage taken out of context but consult the whole counsel of God (Acts 20:27). 6. The Scriptures must be interpreted according to the standards of sound doctrine drawn from the totality of Scriptural revelation (the analogy of faith, analogia fidei). 7. All the Scriptures point to Christ. He is the scope and goal of Biblical revelation and may be found in all parts of it (Luke 24:27; John 5:46). 8. 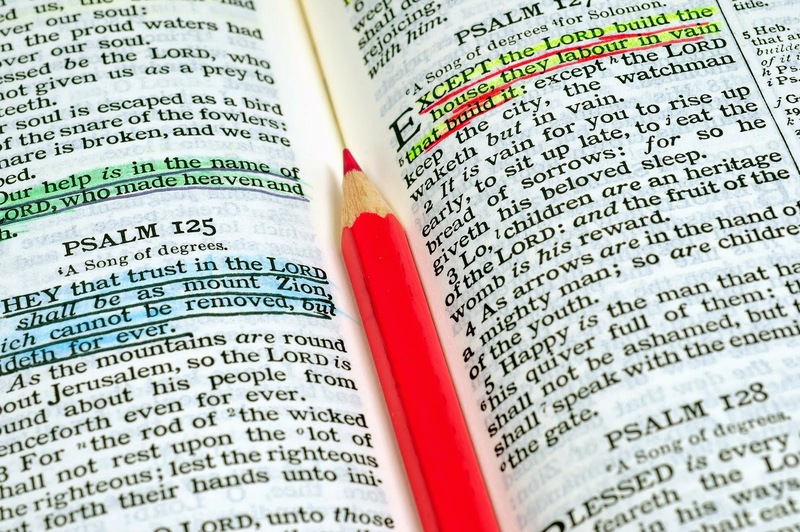 The first mention of a Biblical doctrine or concept in the Scriptures often plays a defining role for understanding the nature and meaning of that doctrine as it appears in the rest of the Scriptures. We should thus pay special attention to this phenomenon. An example of this principle is seen in the foundational role of the opening chapters of Genesis for understanding doctrines like the doctrines of God, man, sin, and redemption. 9. The interpretation of any passage of Scripture must take into account the literary genre of that passage and the context in which it is found. The Scriptures are generally to be read and understood on a “plain sense” level. The interpreter is to avoid fanciful and inappropriately allegorical readings that do not have a sound basis within the text itself. Paul thus exhorted the Corinthians not to go “above what is written” (2 Cor 4:6). 10. The Scriptures have both an evangelistic and an edifying purpose. First, they have an evangelistic purpose, convincing and converting sinners. What John says of his Gospel may be applied to the totality of Scripture: “But these are written, that ye might believe that Jesus is the Christ, the Son of God; and that believing ye might have life through his name” (John 20:31). Second, they have an edifying purpose, encouraging and exhorting believers. So, Paul writes: “For whatsoever things were written aforetime were written for our learning, that we through patience and comfort of the scriptures might have hope” (Romans 15:4). It is encouraging to find your blog and see the biblical principles here rather than the academic hermeneutics that treats the Bible like any other book. Are you familiar with Peter Masters and his book "Not like any other book"? Thanks for your comment and encouragement. Yes, I have read Pastor Masters' book and found it a good corrective to the typical modern-critical approach to the Bible. I commend it to others who have not read it.